Ramblin’ Root Beer gives the bold flavor of root beer a little somethin’ more. This classic recipe has been around since 1979, pleasing those with tried and true tastes and anyone lookin’ for a little extra luscious note in their beverage. You just can’t go wrong with Ramblin’! Ramblin' Root Beer was a root beer introduced by The Coca-Cola Company in 1979. 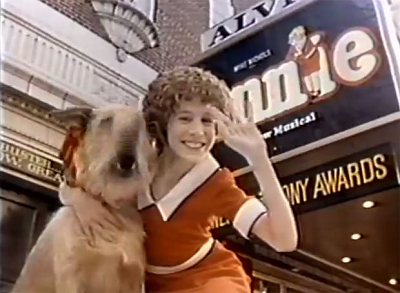 The vintage brand’s first commercial featured a very young Sarah Jessica Parker in full “Annie” attire making an early career cameo (see video below). And the accompanying jingle (“Ramblin’ Root Beer’s Something More!”) would be stuck in American minds for years to come (see video below). After Coca-Cola bought Barq’s Root Beer in the mid-1990s, they discontinued Ramblin’. It’s been brought back to life better then ever by the Monarch Beverage Company. Ramblin root beer commercial jingle!! The taste brought me back to times as a kid, when we all piled into my Dad's 1972 Chevrolet Suburban and headed to Shakey's pizza parlor. I remember it was summer 1980 and always looked forward to being able to pour our own soda from the fountain machine. This Root beer is part of some of my best memories as a kid! I do not drink root beer often, but when I did as a kid, I preferred the taste of Ramblin’ to all others. I remember many a frosted mug of the stuff was hefted at my best friend’s family BBQs throughout the 1980s. It is because of this that I still think of frosted mugs as the height of fanciness.